The clarification by the airline comes in the wake of allegation by a businessman that said the crew in an IndiGo flight plying from Bengaluru to Dubai refused to accept Indian currency. 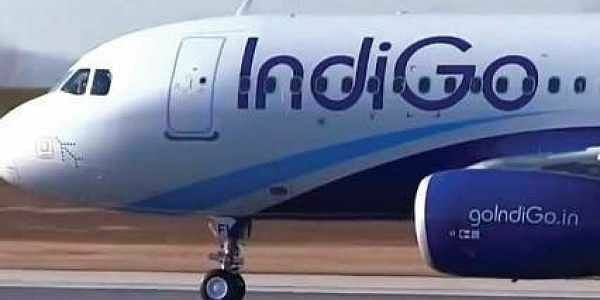 NEW DELHI: IndiGo Airlines on Wednesday clarified it does not accept INR for on-board sales on its international flights in accordance with the prevailing regulations. Pramod Kumar Jain, who boarded flight 6E95 from Bengaluru, filed a police complaint in Delhi and said the airline insisted on foreign currency. Responding to the matter, IndiGo, in a statement, said, “IndiGo does not accept INR for on-board sales on its international flights in accordance to the prevailing regulation 3 of Foreign Exchange Management Act (FEMA) Regulations and this clearly is mentioned in our on-board sales menu." The statement further clarified that the airline had filed a request for carrying on-board sales in INR (above 25,000) with the Reserve Bank of India (RBI) on February 26, 2014 and June 5, 2014. “We are in active discussions with the concerned authorities in this regard,” it added. The passenger in his complaint had said, “I had travelled from Bengaluru to Dubai on IndiGo flight 6E95 on October 10. I boarded the flight at 7:20 am. As I was getting late for the flight, I had left for the airport without eating anything thinking I would have breakfast on board. After boarding the flight, I placed an order after going through the menu card. However, to my shock and horror, the crew refused to accept Indian currency and despite my repeated requests the crew refused to listen to me. I told them that I had nothing since morning but they were not bothered." He added that another Indian co-passenger went through the same humiliation as he too was carrying Indian currency. “IndiGo is an Indian company and I am a citizen here. I had Indian currency with me but this is the way they humiliated me and other Indians on board showing complete apathy to us. Through the flight, I kept requesting and pleading with the airline crew but they did not listen,” Jain said. He further said Airlines, much like hotels, belong to the service industry, adding, “Should they not have the basic courtesy of providing a sandwich to a guest who had not eaten since morning and was on a four hour flight to Dubai and is ready to pay for it? If I had been in there place I would have given a meal for free in such a situation”. The complaint further read, “On coming back to India I checked with other airlines and found that they accept Indian currency and there is no government regulation barring airlines from accepting Indian currency. This is just ‘IndiGo dadagiri’. Misbehaving with guests and passengers has become their habit”. Jain filed a complaint at the Sarojini Nagar Police Station in Delhi for sedition and a case with the consumer forum.